China's mold industry has indeed made great progress. Mainly manifested in: the vigorous development of foreign-funded enterprises, China's mold production scale and product level has a rapid development; non-state-owned economy springing up, so that China's rapid expansion of mold production, product levels are also relatively Raise quickly. In the Pearl River Delta and Yangtze River Delta regions where Hong Kong capital, Taiwanese capital, and foreign capital are particularly concentrated, along with the rise of enterprises in machinery, electronics, light industry, building materials, communications, and office equipment, production of self-produced molds for internal support of enterprises With it a lot of development. This part of the mold production scale is about 300 to 500 billion yuan. The total scale of mold production in China has exceeded 60 billion yuan in 2005. According to Luo Baihui, a mold expert, the development speed of the mold industry during the "11th Five-Year Plan" period is higher than the annual average of more than 15%. The total mold production during the "Eleventh Five-Year" period will be 100 to 20 billion Yuan each year. With the increase, the total size of mold production in the country (excluding the statistics of Hong Kong, Macao and Taiwan) has reached about 100 billion yuan. If the average annual increase is 15 billion yuan, the input-output ratio of fixed assets is roughly 1:1. About 60% of the investment is used to purchase new equipment for calculation. On average, about 9 billion yuan will be spent on purchasing each year. Kinds of equipment. This is an estimate of the equipment market in the mold industry. Although this equipment market accounts for only a small proportion of the total size of the machine tool industry, it cannot be said to be too small and should not be overlooked. Even if the foreign-funded enterprises mainly use foreign equipment to remove this piece, the domestic machine tool industry will still have at least 6 billion yuan in equipment market per year. If the level of domestic equipment and services are competitive, foreign-funded enterprises are also willing to purchase inexpensive domestic equipment. 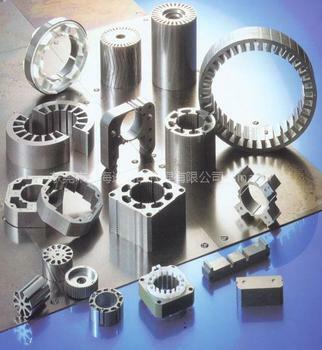 Therefore, if the machine tool industry can grasp this market well, it is not an exaggeration to say that the market of about 30 billion yuan during the â€œEleventh Five-Year Planâ€ period is described as â€œbigâ€. Compared with other mechanical processing, mold processing has its own particularities. These particularities are: 1. Most molds require the processing of complex shapes of space surfaces on solid metal modules, with the continuous development of molds to large-scale development. The weight of the module will also be larger and larger, and some have reached several tens of tons; 2. Most of the molds are rectangular or rectangular in shape, and they are rarely narrow and long. The main processing volume is concentrated on the die and punch; 3. As the requirements for mold products become more and more sophisticated and complex, the requirements for precision machining of molds are getting higher and higher. Now the machining accuracy of many molds has reached Â±1~2Î¼m, and will soon develop to less than Â±1Î¼m;4 With the shorter and shorter requirements of the user on the mold production cycle, mold processing must meet the requirements of high efficiency, rapidness, and a certain degree of flexibility and full-time non-stop operation at full load. According to the above four specialities, the following basic requirements are put forward for the mold processing equipment: 1. The machine tool must have good rigidity and large load capacity compatible with the weight of the module; 2. The size of the work surface should be compatible with the size of the mold , Suitable for rectangular or square and round, not narrow, but the height direction and its travel requires a larger space; 3. To have high accuracy and precision retention; 4. To be able to quickly and efficiently remove the excess, And has high reliability, in order to maintain a continuous long-term full-load operation; 5 in order to adapt to the complex space surface processing, and a large number of processing, so the machine requires a multi-axis linkage, and equipped with large information capacity of the CNC system . In the above, only some of the basic requirements for mold processing on equipment have been proposed, and there are still many special requirements. For example, plastics processing machines require higher speeds. However, due to the small cutting forces, the machine tools can be light-weighted to reduce costs. The research and development presses used in trials do not require high efficiency and speed, but require anti-rotational energy. In order to repair the mold; some simple processes can be used for special machines and so on. At the same time, compound processing, flexible processing, and on-line inspection are also requirements for mold processing. At present, domestic equipment produced by the domestic machine tool industry, except for a small number of high-end equipment domestic lack of independent innovation capabilities, but also difficult to meet temporarily, most of the domestic technology and ability to meet, but because the machine tool industry does not attach importance to this market and the mold industry The lack of careful analysis of some special requirements for mold processing caused the study. Its main performance is: 1. The product is not developed for the special requirements of the mold industry, the main structure can not be well adapted to the mold processing, including the table size and load-bearing, the rigidity and stability of the machine tool, the reliability of long-time full-load operation, high speed High-efficiency, high-precision and large-margin space curved surface processing, etc. 2. The quality of many parts and components on the equipment does not matter, especially certain electronic components, certain mechanical parts and numerical control systems, etc. ; 3. Due to the corporate system Reasons, mechanisms and management, including the assembly quality and the overall level of service are not high, especially after-sales service can not keep up, resulting in die companies can not easily choose domestic equipment.